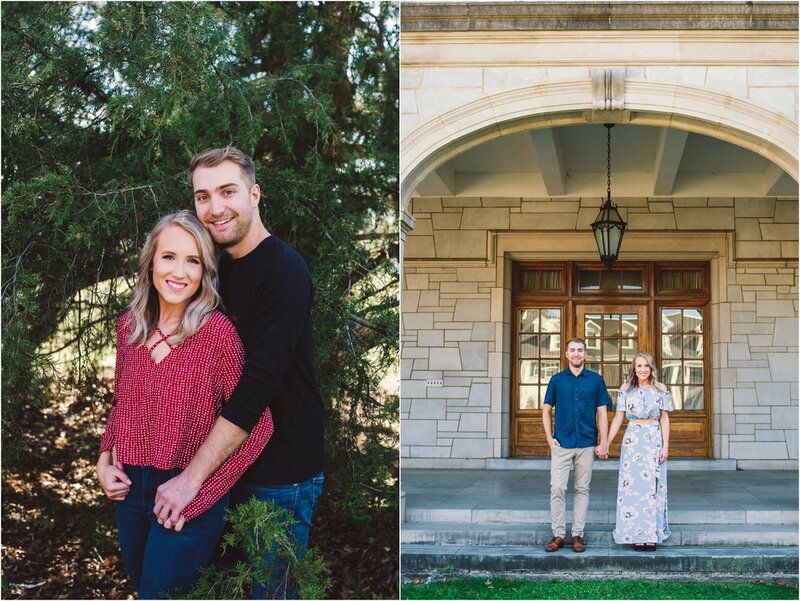 Shelby Lynn Simon and Ryan Wade Jones met in 2014 during their junior year at the University of Arkansas. Campus has always been a special place for both of them since meeting in the library one January evening. Anyone that knows Shelby, knows her long obsession with JFK. After noticing her sweatshirt that had JFK's picture on it, Ryan walked up and told her, "Nice sweatshirt!" The weeks that followed were filled with outings to Mexican restaurants, walks around campus, and many, many laughs! Ryan knew he had to take Shelby back to where their story first began when he was ready to pop the question. In September 2017, Ryan and Shelby were headed to Kansas City for a Gorillaz concert, and they planned to swing by Fayetteville on their way back to Dallas. He casually mentioned it would be a good way to break up the trip and see Shelby's family for a day or so before driving back. Ryan told Shelby that his mom wanted some updated pictures of the two of them on campus and that they should take some while they were in town. He also told Shelby that they should do a "classic Fayetteville date" when they got into town and to pack a nice outfit. Shelby immediately thought that was strange and called her sister, Lindsey, for advice on what to wear. Even though Lindsey and everyone else knew what Ryan had planned, she played it cool and acted like it was no big deal. Shelby explained to him that Tara, Shelby's sister, should just take the photos so they didn't have to bring a tripod or have to settle on selfies. Meanwhile, Ryan had already arranged for Tara to take the photos; he just wanted to make Shelby think it was her idea! 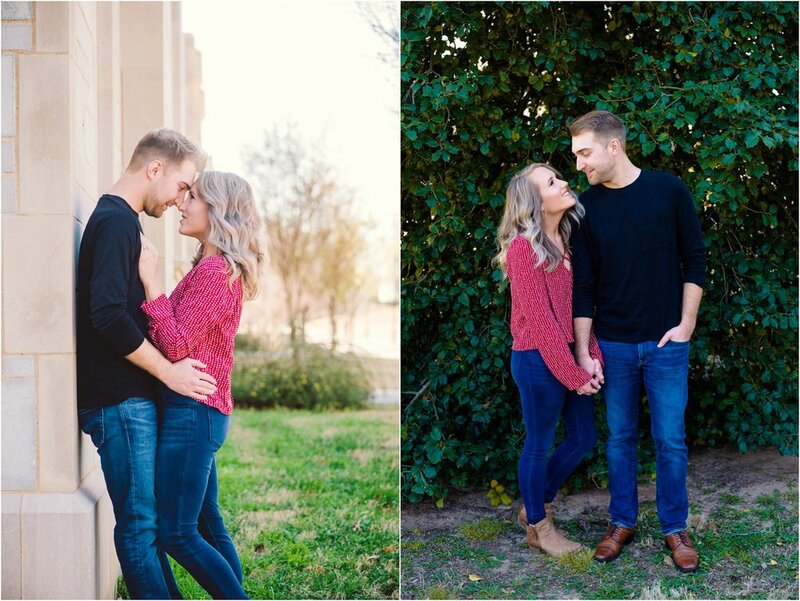 Ryan's "classic Fayetteville date" really only had one part because the main part was of course, the engagement! They got into Fayetteville and drove to their favorite Mexican place, Mexico Viejo. 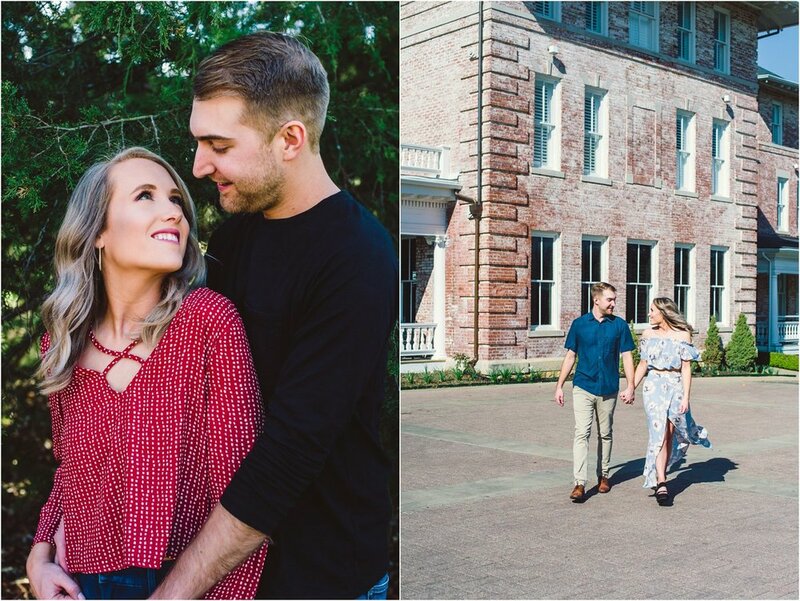 After eating their weight in chips and queso, they met Tara on campus and began walking to the library. As they got to the library, Ryan turned and started pouring his heart out and got down on one knee to propose. And the rest, as they say, is history!